Creating customised table plans couldn't be easier with our ready to go kits. All components are easily personalised to a professional standard simply using a home printer. This kit features a contemporary lace design in white and silver, a traditional, yet bold looking table plan. Each pack includes: mounting panels pre-cut to size; ready to print details of Bride and Groom, Top Table and up to 15 guest tables; quality paper to personalise the table plan details; self-adhesive tape to assemble the various layers together; full instructions. You can download a Word document templates that provides the layout. 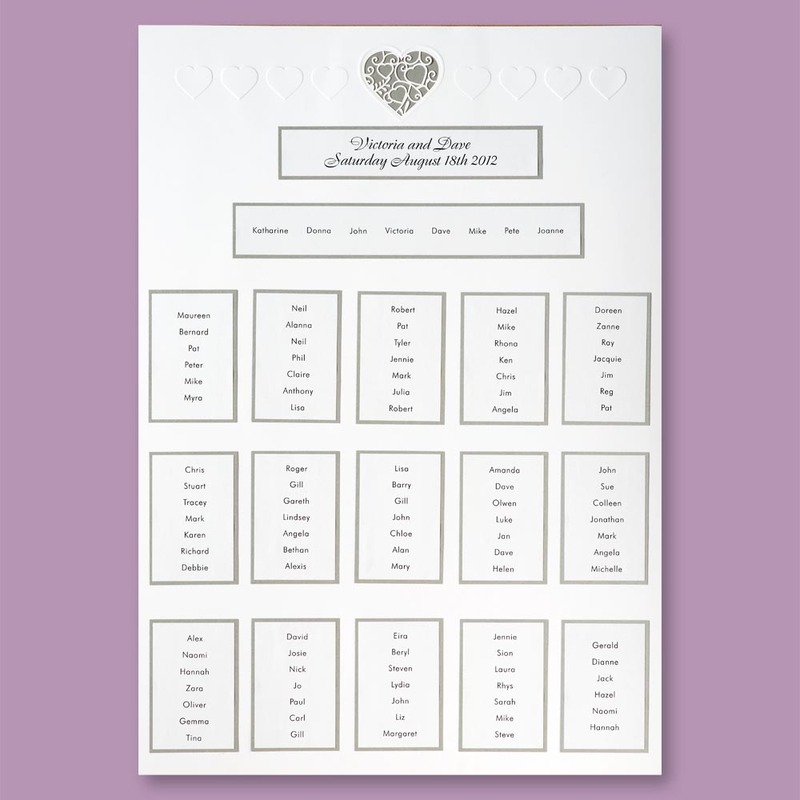 Just change the fonts to your choice and personalise with your own wedding details!